There is going to be Bundesbank Beermann Speech in Germany and the US will publish Retail Sales MoM. 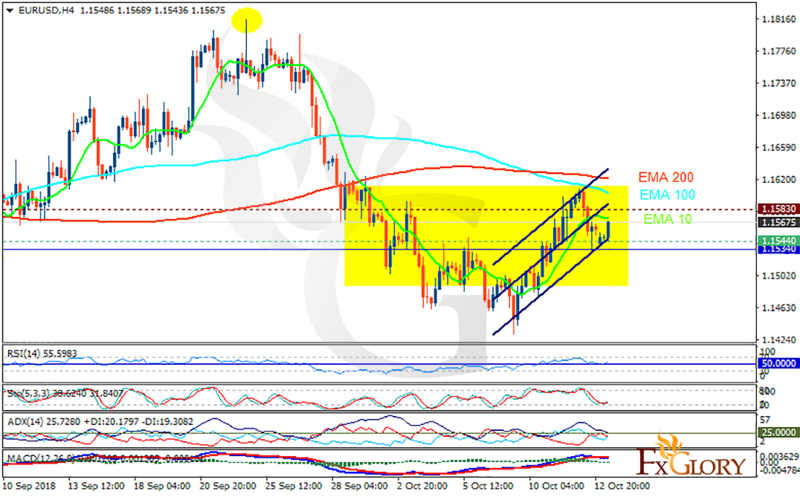 The support rests at 1.15440 with resistance at 1.15830 which both lines are above the weekly pivot point at 1.15340. The EMA of 10 is moving horizontally in the ascendant channel and it is below the EMA of 200 and the EMA of 100. The RSI is rising towards the overbought area, the Stochastic is moving in low ranges and the MACD line is below the signal line in the negative territory. The ADX is not showing any clear signals. While considering pullbacks, EURUSD may continue its growth towards the 1.162.